I just read this review answering the following question; How can teaching with technology support student active learning in higher education? It is a particularly interesting question to me since many teachers in high schools in Norway, use universities and colleges as an “excuse” to carrying own a traditional approach to learning. Just as in high school the increasingly diverse student population requires a new approach to learning at universities. Both secondary and higher education face major changes in the student groups. So where are the obstacles in changing to a more student-centered approach? Studies show that when introducing new technology staff tends to adapt new technology to traditional practice. This has been a concern of mine for a long time and I think we are seeing some of it in middle school in Norway too. 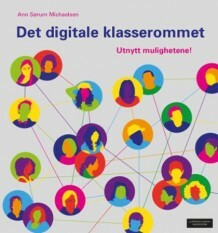 When the computers first were introduced in high schools in Norway, most teachers were not aware of how to apply it in a way that enhanced the students’ learning. Using technology with old pedagogy, like lecturing when the students are hiding behind a computer, will not engage students. If they, on the other hand, had watched the lecture before they came to school/university, time could be much better spent, working in teams with the teacher as a coach. When describing collaborative learning it is vital to design the learning to support collaboration and encourage active students. Like in co-operative learning in high school, most students need to learn how to work this way. This can be done if you are meticulous when designing these tasks. The study also finds that there are barriers to how technology is used and implementing innovative teaching. We need to focus on pedagogy first, technology second. This is also something I find applies to lower grades as well. A systematic mapping of the effects of ICT on learning outcome1 showed that it is how digital tools are implemented and used pedagogically that matter for students’ learning outcome, not the technology itself. The Status report on Norwegian higher education5 showed that higher education institutions are not fully exploiting the possibilities in digital technology. Norwegian students reported that they only to a small degree experienced pedagogical use of digital technology in their education. This problem is not exclusive to Norway. The EU Commission6 argues that member states should be supported in developing national frameworks and infrastructure for integrating new modes of learning and teaching across the higher education system. An underlying assumption in the studies is that teaching can no longer be the sole responsibility of individual teachers. Having investigated the potential educational benefits of a combination of capture technologies (recorded lectures) and a variety of traditional classroom practices across digital and physical learning contexts, studies report inconsistent findings. Blended and hybrid learning requires increased time commitment from teachers, and students are expected to develop skills in goal setting, monitoring, time management and self-evaluation, in addition to a range of selfregulation strategies. The included studies show that emerging technologies, such as games, must be goal directed, competitive, and designed within a framework of choices and feedback to enable teachers and students to monitor learning progress. Playing and designing games can contribute to active, engaging, and authentic educational experiences. Introducing new technology does not, in itself, guarantee innovative practices in higher education institutions. Instead of taking the opportunity to introduce student active teaching methods, staff tends to adapt new technologies to traditional practice. The included studies show that emerging technologies, such as games, must be goal directed, competitive, and designed within a framework of choices and feedback to enable teachers and students to monitor learning progress. Playing and designing games can contribute to active, engaging, and authentic educational experiences. Introducing new technology does not, in itself, guarantee innovative practices in higher education institutions. Instead of taking the opportunity to introduce student active teaching methods, staff tends to adapt new technologies to traditional practice. The included studies show that emerging technologies, such as games, must be goal directed, competitive, and designed within a framework of choices and feedback to enable teachers and students to monitor learning progress. Playing and designing games can contribute to active, engaging, and authentic educational experiences. Introducing new technology does not, in itself, guarantee innovative practices in higher education institutions. Instead of taking the opportunity to introduce student active teaching methods, staff tends to adapt new technologies to traditional practice. : Collaborative learning, five studies are presented. There are indications in the research that when students work in groups, responsibility tends to be dispersed. This highlights the need for learning designs that support collaboration and activate each student. Students in higher education are expected to learn to argue. 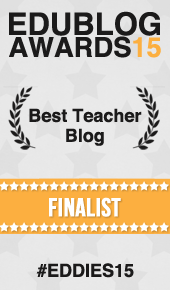 I am reading a lot of blogs but your blog is very impressive and helpful. a little extra to its students. We always try to produce global leaders.